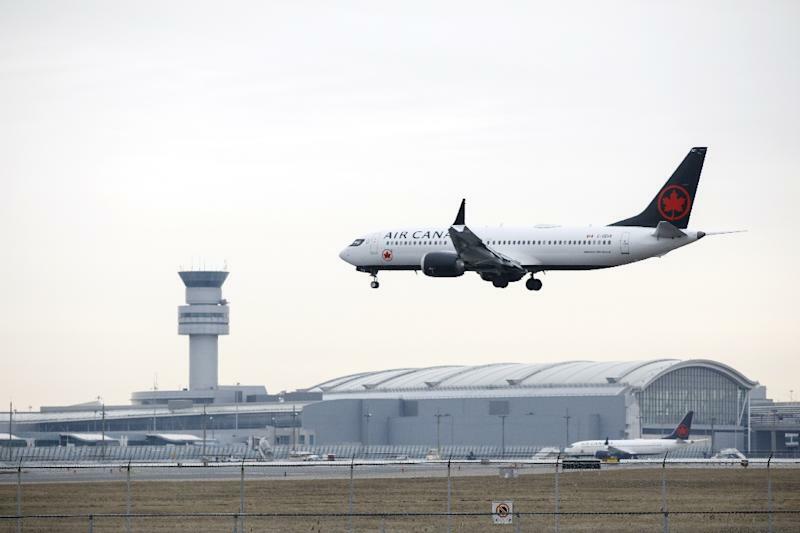 Ottawa (AFP) - Canada said Tuesday it will make its own assessment of Boeing's modifications to its 737 MAX airliners before allowing them to fly again in its airspace, after two crashes in less than five months. "Of course, when that software change is ready, which is in a number of weeks, we will, in Canada, even if it's certified by the FAA, we will do our own certification," Transportation Minister Marc Garneau said. Garneau's comments marked a break from protocol, with Canada traditionally working closely with the Federal Aviation Administration, which regulates the US commercial airline industry. The fix had not been completed when an Ethiopian Airlines 737 MAX 8 crashed shortly after takeoff from Addis Ababa March 10, killing 157 people under eerily similar circumstances. But the FAA delayed recommending that the MAX 8 and 9 be grounded in the United States until after virtually every other country had acted. Air Canada, meanwhile, announced it will ground its 24 737 MAX planes until at least July 1, explaining that it does not know when they will be certified to fly again. The airline said there was a "domino effect" from removing the 737s that impacts the schedule and will affect some customers. "We have been working very hard to minimize that impact," said Lucie Guillemette, the airline's executive vice president. The Ethiopian authorities and France's Bureau of Investigation and Analysis (BEA), which examined the black box flight data, said they found "clear similarities" between the Ethiopian and Lion Air crashes.